Thank you! 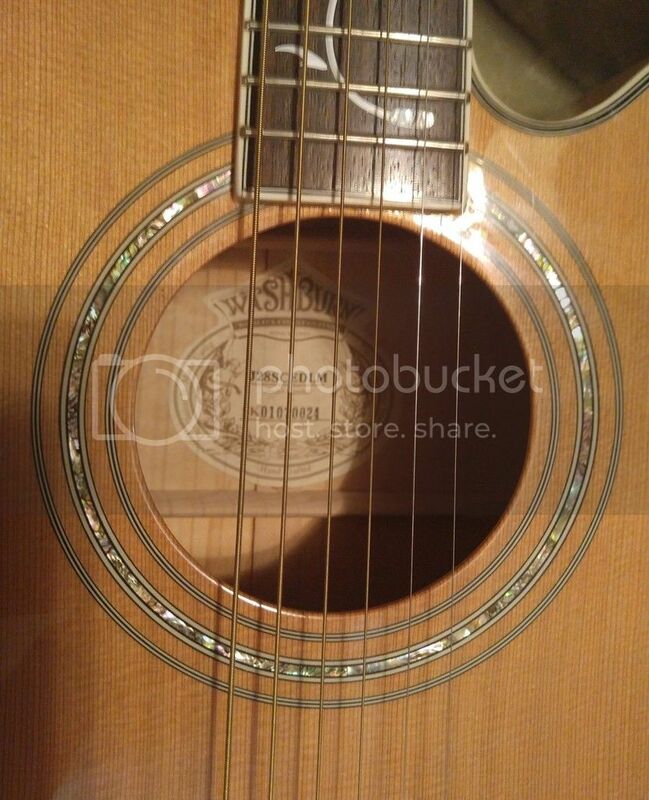 WOW, that's a beautiful guitar! I will follow your instructions next time I get a few minutes. Work is absolutely NUTS today so it may be tomorrow or next week sometime. Hey, Dugly. I don't know anything about forums or inserting pictures. Which photo hosting site should I use and which of the links should I insert? Think I used URL on this one. It looked fine when I previewed it. Just don't want to keep trying and not get it right. 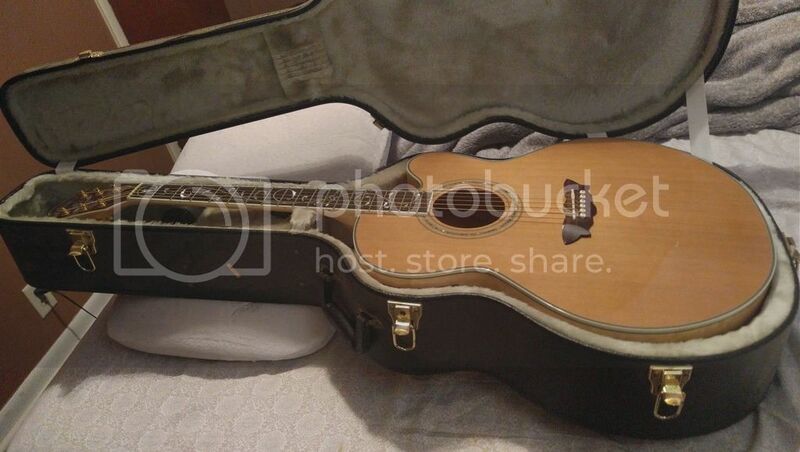 I'm curious to know more about this guitar. 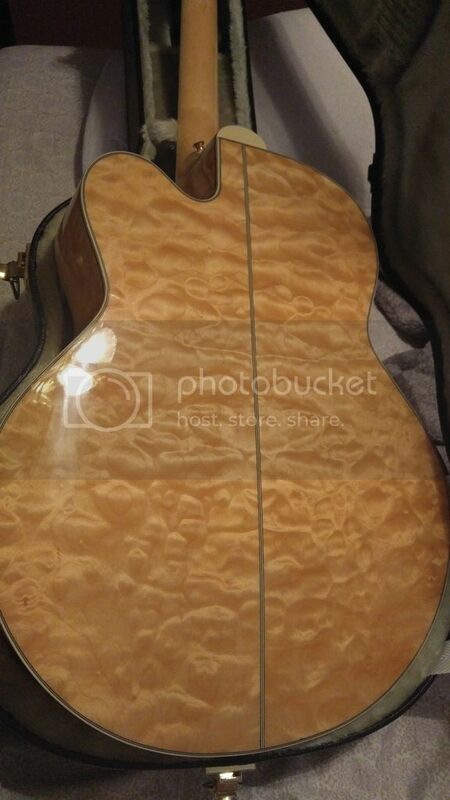 In 2001, my dad stopped at Mars Music in Birmingham, Al on the way to the beach and saw this guitar, played it, and bought it for just under $800. Once he got home and began playing it he discovered it wasn't very comfortable to him as it is a jumbo. I played it for him one day and fell in love with it. He told me that when he was gone, the guitar would be mine. 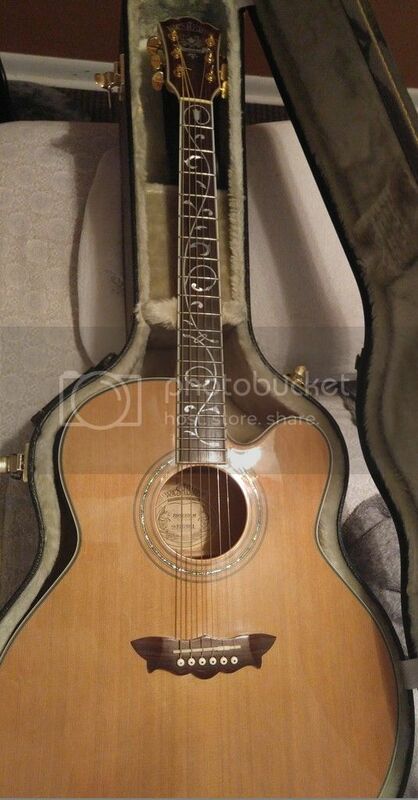 It is in mint condition, has the hard case that came with it and is an absolute joy to play. I will never sell it but am curious to know what it's worth and whether or not I should insure it. The serial number is SK01070024. From the very limited information I've been able to find it appears that this is a 2001 model and may be #24 of the limited run of 50. I have been unable to find anything about this on the internet other than one 2002 model that sold on eBay a while back and had a crack in the front and some other damage. That one went for almost $1k. Gotta find a way to post pics on here. Blah.